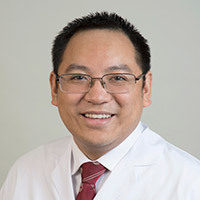 Dr. Alex Huang is a glaucoma specialist and advanced cataract surgeon who supports all current and minimally invasive glaucoma surgical procedures. Dr. Huang carries his interests regarding angle-based approaches and native outflow pathway improvement into the laboratory as a National Institutes of Health-supported clinician-scientist. His lab explores post-trabecular meshwork outflow resistance as well as real-time aqueous outflow imaging technologies for the development of customized glaucoma surgeries. Dr. Huang's clinical practice emphasizes a balance of modern surgical techniques with traditional approaches to ensure optimal glaucoma management.